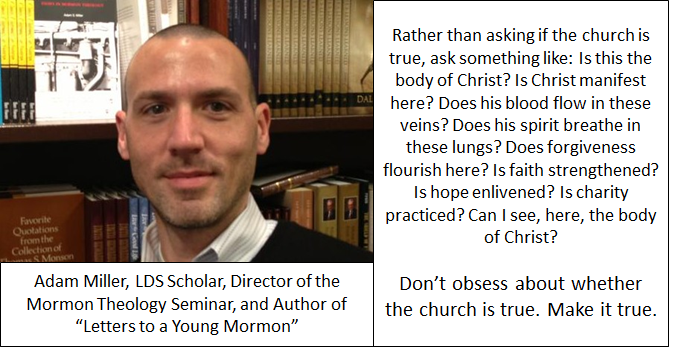 I am a faithful, active LDS, returned missionary, BYU grad, and father of five. I love the Church. It has been an important part of me and my identify my entire life. In the time period about 2004 to 2007, upon facing difficult information about Church history and scripture, I went through a faith crisis. I eventually determined the Church was not “true”. 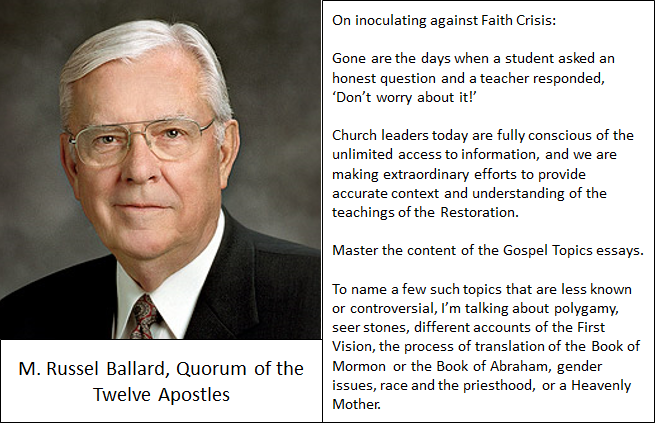 At that point, I went through several difficult years, trying to reconcile the truth and beauty I could not deny with my lived experience with the Church and the disbelief I had in scripture historicity and what some call the “whitewashed version” of some of the foundational Church historical events. 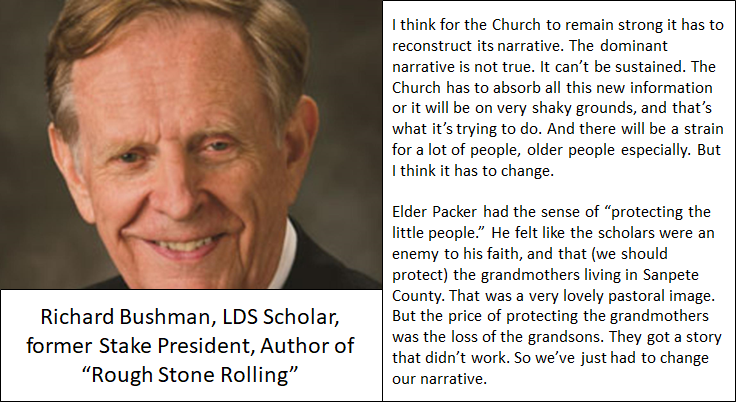 This is what Richard Bushman calls the “dominant narrative” and Patrick Mason calls an “unstainable version of Mormonism”. I then went through a faith reconstruction phase, where I found perspectives of religion in general and the LDS Church specifically, that helped me put it all back together. I now again can say the “Church is true”. 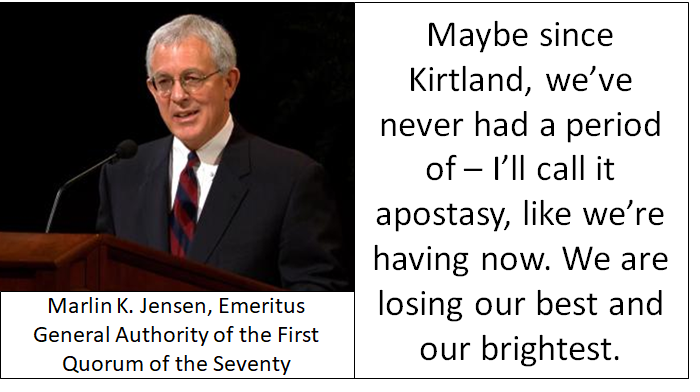 I mean it in a different way than I used to, but my testimony of the Church is just as valid and vibrant as it was before. This site is dedicated to sharing that perspective. My intention is not to harm or confront testimony of those still in a literal and traditional paradigm. My hope is to reach those in faith crisis and share an alternate perspective that can help.